CHOCTAW, MS. – Determining the best golf options in your first visit to an area isn’t easy. We faced that situation in our first-ever visit to the state of Mississippi, and I don’t think we could have made any better selections. The state has less than 200 courses, but the ones we found were all top of the line. 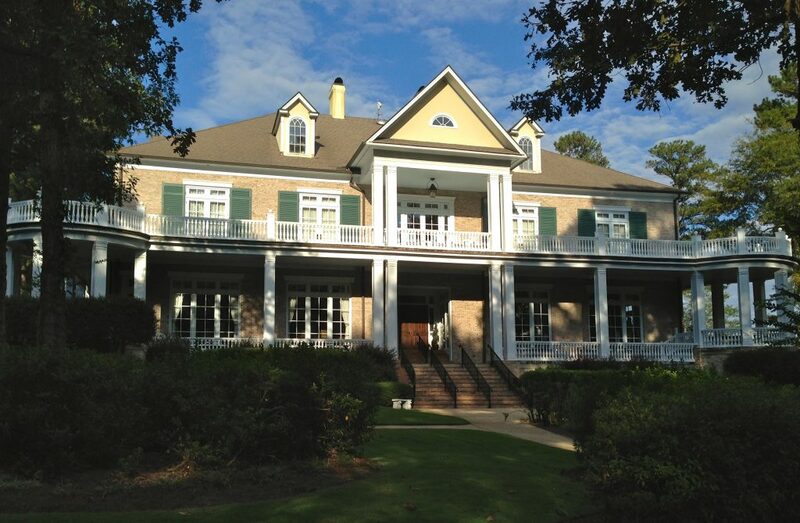 Dancing Rabbit’s clubhouse has everything, including eight rooms for lodging. The seven-day stay started with a few days at Old Waverly, generally considered the state’s best private club, then continued with rounds at two of the premier public facilities – Dancing Rabbit and Tunica National. Old Waverly, which hosted a premier event on the LPGA Legends Tour while we were there, was in pristine condition. It was one of the best private facilities I’ve ever seen, and that’s saying a lot because I’ve had the good fortune to visit plenty of good ones over the years. We were every bit as much taken by Dancing Rabbit and Tunica National, however. Dancing Rabbit, a 36-hole club at Pearl River Resort near the town of Philadelphia in the central part of the state, may be the most decorated club in Mississippi. Its Azaleas and Oaks courses were both designed by well-respected architect Tom Fazio and Jerry Pate, a former U.S. Open champion. Fazio also includes Chicago favorites The Glen Club and Conway Farms in his design portfolio. That reflects the quality of the courses at Dancing Rabbit. While I’m not one to take the various course rating systems as gospel it is interesting to note that one of the longest standing ones, published by Golf Magazine, rated the Azaleas course ahead of Chicago favorites Cantigny, The General at Eagle Ridge and Kemper Lakes in one of Its Top 100 You Can Play lists. The Azaleas was Dancing Rabbit’s first course, built in 1997. It’s also been listed in ratings by Golf Digest, Golf & Travel, Golfweek and Mississippi Magazine. It’s a tighter and tougher course than The Oaks, which opened in 1999, but I’m not convinced that it’s any better. Both are par-72s that measure over 7,000 yards from the tips, have five sets of tees per hole and offer rounds that wind through the woods with plenty of rolling hills and streams. You get a cheerful-looking welcome when you arrive at Dancing Rabbit. 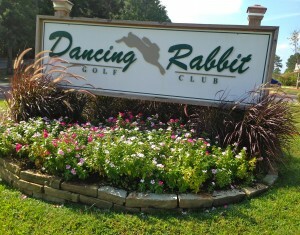 Dancing Rabbit is a great selection for a golf getaway because it has plenty of lodging options. 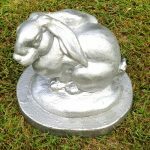 On the property is the Dancing Rabbit Inn, and there’s also eight rooms available in the clubhouse. That’s in addition to the Pearl River Resort and the Golden Moon and Silver Star casinos, which offer alternate forms of entertainment. All told, the area has over 1,000 hotel rooms and 11 restaurants. If you’re worried about the heat and humidity that Mississippi is known for, it wasn’t oppressive at either of the courses because there’s plenty of shade around the tree-lined cart paths. Tunica National, on the outskirts of Memphis near Robinsonville, MS., is entirely different. This course, designed by former PGA Tour star Mark McCumber, features generous fairways and is all about fun. Though user-friendly, there are plenty of challenges created by strategically placed water hazards and bunkers. Like the Dancing Rabbit courses, Tunica National features five sets of tees per hole but – at 7,402 yards – it plays longer from the back tees than either The Azaleas or The Oaks. Tunica also features an outstanding, spacious practice area. Tunica National, managed by Chicago-based KemperSports, is also in a casino-rich area. There are nine of them nearby, and over 40 hotels are also in close proximity. The Tunica clubhouse is also unusual in that it includes four indoor clay tennis courts. 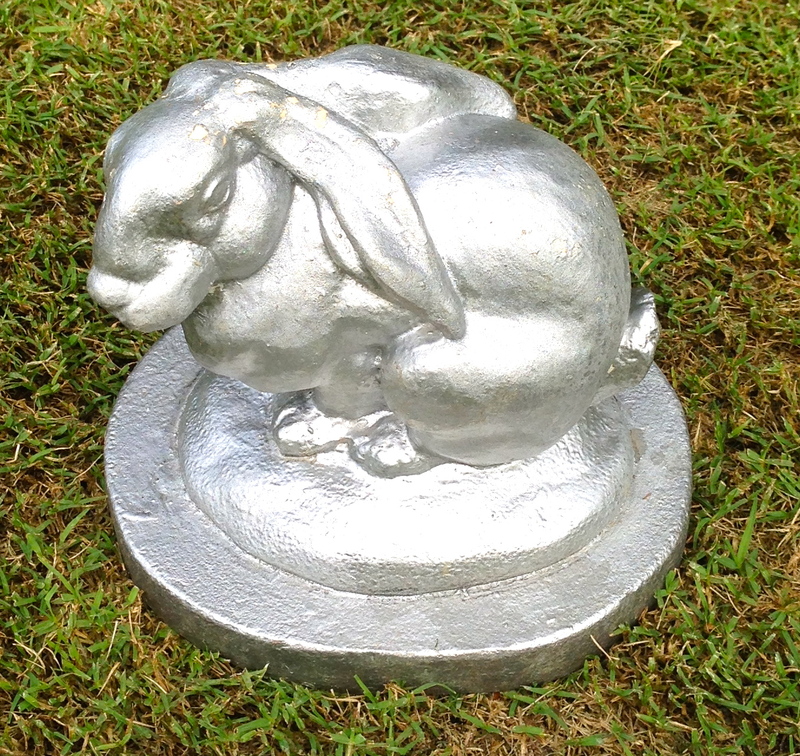 This rabbit isn’t dancing, but it makes for a striking tee marker. As for Old Waverly, it’s rich in tradition as the site of the 1999 U.S. Women’s Open and it’s also been dubbed as The Country Club of Mississippi. Pate was also involved in its design, working with architect Bob Cupp prior to the course’s opening in 1988. While not a public venue in the style of Dancing Rabbit or Tunica National, Old Waverly does offer lodging in the form of cottages, villas and condos for members and guests in the small town of West Point in the northeast part of the state. Beautiful homes are in evidence around the course and the layout has also been recognized by both Golfweek and Golf Digest. In addition to its attractive golf setting, the club has also been a popular site for corporate meetings, weddings and other special events. All three facilities are different and have their own special features. There was one common threat, however. Mississippi has promoted itself as “the hospitality state,’’ and that was clearly evident at all three locations.